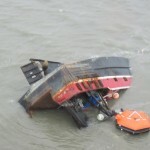 The 78 foot long fishing vessel Lone Star capsized and sank near the mouth of the Igushik River, Alaska. The four crew sent out a distress call with a nearby fishing vessel responding. All four men were rescued and taken to Dillingham. No reports of injuries. The Coast Guard reports that pollution has leaked into the water. 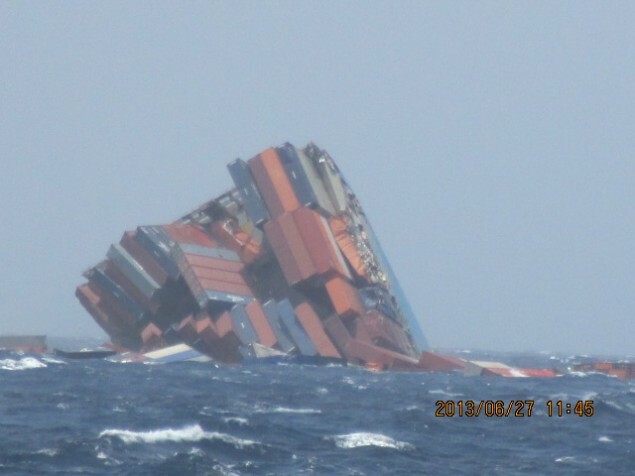 The Lone Star had some 14,000 gallons of diesel fuel on board at the time of the incident. 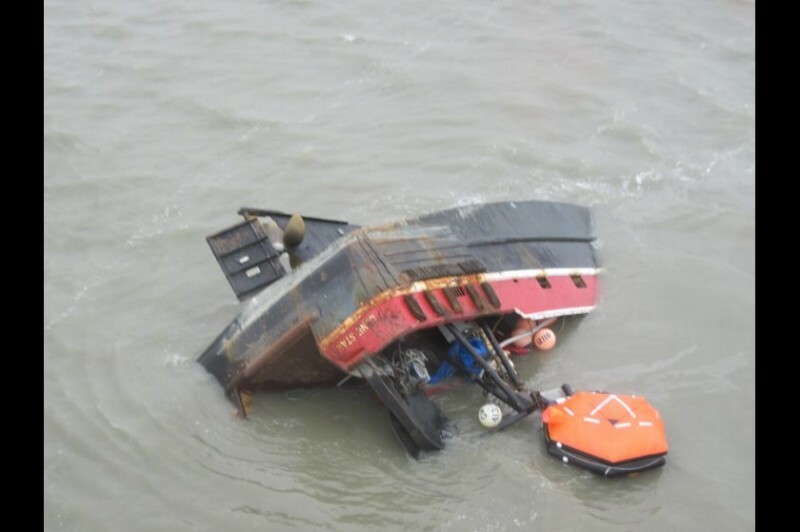 The Coast Guard and local authorities are coordinating a response to the incident. News Release from Mitsui O.S.K. TOKYO- Mitsui O.S.K. 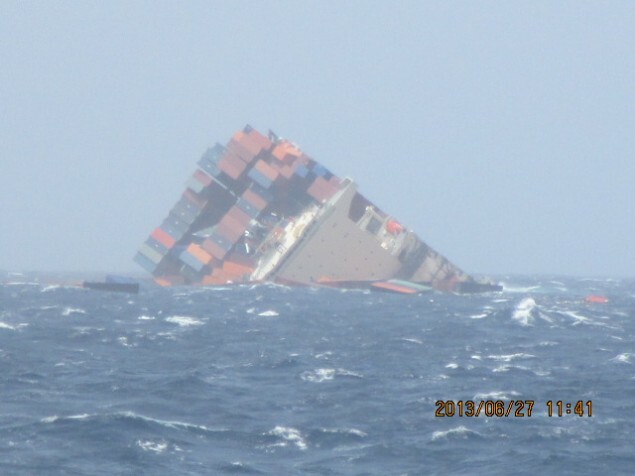 Lines, Ltd. (MOL; President: Koichi Muto) reports the aft part of the containershipMOL Comfort sank in the open sea near 14’26”N 66’26”E (water depth about 4,000m) at 16:48 JST (11:48 Dubai time) on June 27. 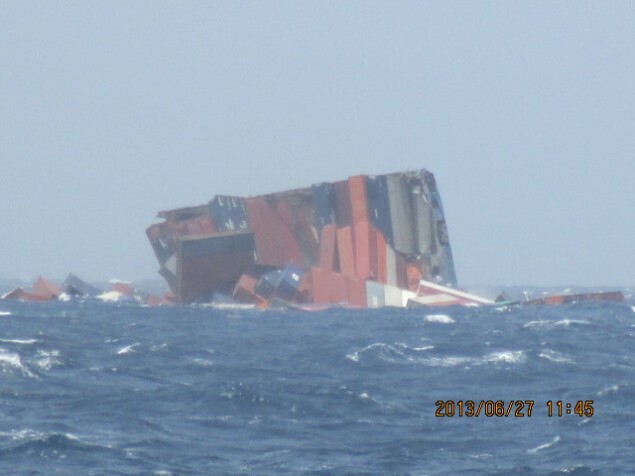 The vessel had been unable to continue sailing under its own power from June 17 because the hull fractured in 2 parts while under way on the Indian Ocean. 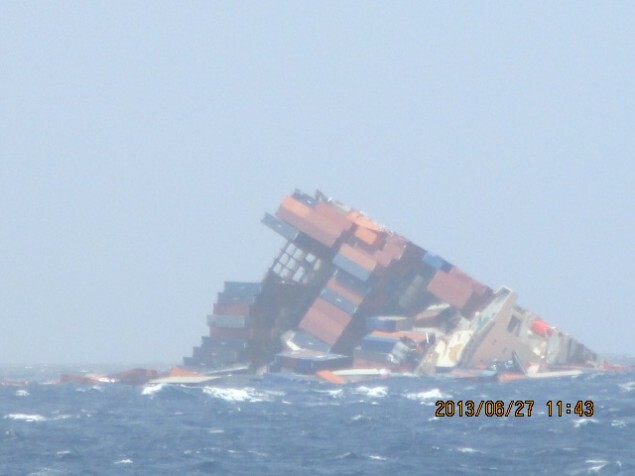 About 1,700 containers aboard the aft part sank with this section of the vessel. 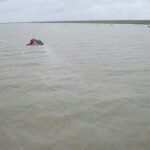 Some are confirmed floating near the site. About 1,500 metric tons of fuel oil was estimated to be aboard in the tanks of the aft part. No large volume of oil leakage is confirmed at this moment. We have reported this fact to Indian authorities while we are keeping patrol boats in the area to monitor the situation of oil leakage and floating containers. Four support vessels arrived in the area where the two sections of the Mol Comfort were adrift. 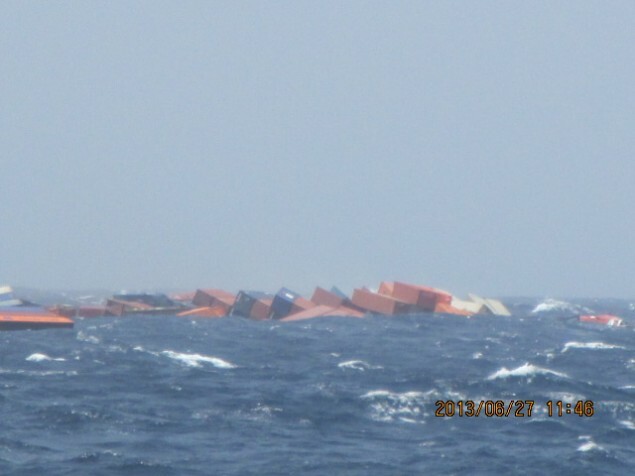 The Forward section of the container ship is near the position 15’43 N, 69’07 E. The aft portion of the was near 14’03 N 65’30 E. The bow section was taken under tow and was proceeding back towards the Arabian Gulf. The stern section was still being monitored. Reports state weather conditions remain rough. Additional reports state some oil pollution was spotted near the aft section.